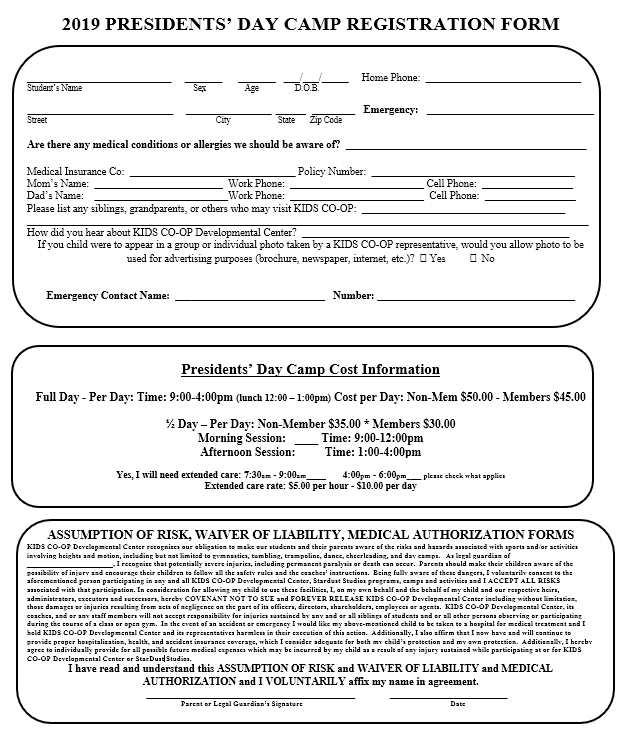 Themed seasonal day camps filled with fun activities, games, crafts. Make new friends and re-unite with your summer camp buddies! 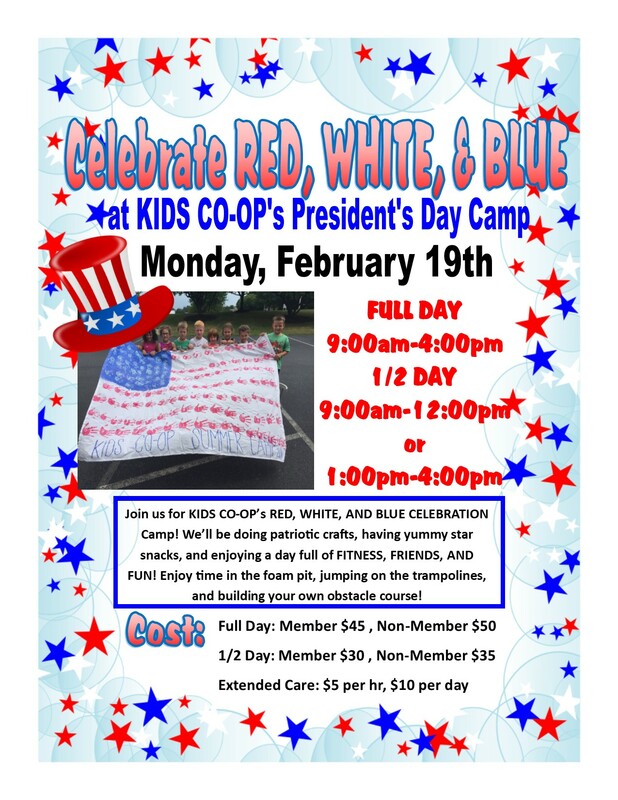 FUN-FILLED day of gymnastics, snack, craft, games for a RED, WHITE and BLUE celebration! School is OUT but KIDS CO-OP IS OPEN!